Michael Davis Industrial Metal It seems Fear Factory are back for round two with their follow up to 2010's 'Mechanized' with their latest offering titled 'The Industrialist' which is yet another welcome return to the Fear Factory many industrial metal fans know and love with the return of guitarist Dino Cazares for a second album, and also long time producer and contributor and former keyboardist for Front Line Assembly; Rhys Fulber. 'The Industrialist', as stated by front man Burton C Bell, is a concept album which tells the story of an automaton that becomes sentient when growing and learning each day and changes from being mans servant to man's destroyer. The writing process of this album is much different to its predecessor as it was written as a two piece, due to drummer Gene Hoglan's touring commitments and bassist Byron Stroud's commitments with other projects. It sees the band turning to the use of a drum machine and more programming, and also Dino Cazares taking up the bass guitar duties, however even with these changes they still keep the machine going. The Industrialist - Starting off the album is the title track from the album which begins with eerie synthesizers and spoken word passages by Bell, eventually building to large ringing chords by guitarist dino cazares and then the machine gun like drums and guitar kicking in at rapid fire speeds that Fear Factory is notorious for, while ghostly synths pass through the mix and Burton Bell roars his lyrics of machinery. This song shows that from beginning the this album is going to be intense and relentless. Recharger - The first single from the album, which was released before the album itself and is everything to like about Fear Factory machine gun riffs and drums and Fulber's great keyboard work that will bring listeners back to the days of cranking up 'Demanufacture'. What makes this track is the lyrics and has more of a vibe of hope than the usual themes of wars against machines with it's chorus; "live for today for better ways" and shows a positive side, not just to Fear Factory's music, but also to the concept as explained above. New Messiah - One of the more melodic tracks on the album with mainly clean vocals, but still the signature guitar and drum work of Fear Factory is there. This song also has something that has only been recent in Fear Factory's work since 'Mechanized', which is the use of lead parts and solos which helps to give the song a breath of fresh air and not make listeners think the sound has got tired. God Eater - Next up is "God Eater", beginning with pad synths and piano parts played by Fulber and then building to thudding drums and stabbing guitars. This songs is also one of the slower tempo songs on the album and features shouted verses and melodic choruses. The song also features lead guitar parts over the rhythm section. Depraved Murder Mind - A more immediate approach. This song is lacking a long intro like previous songs. Guitar and bass wise in the verses may remind listeners and also reminded myself of "Linchpin" from the album 'Digimortal'. Some may see this as a down point in this album due to the criticisms of that said album. It could be considered a down point, but with the marching pace drums, machine gun like guitars and bass and ghostly keyboards for atmosphere, you could consider this track to be classic Fear Factory. Virus of Faith - Probably what I'd consider to be one of the more industrial tracks. Beginning with a drum beat made of metallic hits with panning left and right. Processed guitars, then out of no where kicking in with a blast of what you could consider industrialized thrash (Ministry springing to mind). Also in the track there is a tip of the hat to there early death metal days with the use of blast beats, but also through out the songs verses are laden with bleeps and glitches to give that extra futuristic feel lyrically, in the same vein as tracks like "Christploitation" from 2010's 'Mechanized' or "Pisschrist" from 'Demanufacture'. Furthermore, this song guitar solos are featured which is something I warmly welcome. I really do praise how Cazares has articulated solos in Fear Factory's latest releases without making it sound to much like his melodic death metal side project Divine Heresy. Difference Engine - Another adrenaline rush of a song, showing at this point that the album's intense pace is getting into it's element. Showing yet another look back at the past audibly with the way the music is played, actually made me check to see if I was listening to Obsolete with it's groove, similar guitar tone. It strongly reflects Fear Factory's industrial side, with electronics and great, yet carefully plotted, keyboard lines for melody and metallic hits to reflect the story behind the album and it's mechanical like imagery in the artwork. Disassemble - As the album slowly comes to a close, we come to the track "Disassemble", featuring white noise processed guitars, 8 bit like glitched keyboard snippets over military precision drums and guitars. Vocally the track shows that front man Burton bell hasn't finished his aggressive narrative lyrics to progress the story/concept. I found after a few listens of this song to also be another more newer element in the form of string arrangements during the chorus, following the vocal line which I thought was a great way of showing a more organic side to the song. I would consider it a fresh and welcome idea, I'd like to see used more in future releases. Religion is Flawed because Man is Flawed - Following directly on from the previous track is the short instrumental piece; "Religion is Flawed Because Man is Flawed", which actually uses the same notes and chord progression as "Disassemble", but a time signature change which involves a great and, dare I say it, beautiful melodic syncopation between the piano and the guitar while ringing distorted chords over well placed cymbal hits still give it a cold feel while choir arrangements fill the mix, giving an almost graceful atmosphere to the song. I'm not usually a huge fan of short instrumentals like this, but this piece really did have me sold and a great pre cursor to closing the album and way of reflecting the sometimes forgotten melodic sense to Fear Factory's music. Human Augmentation - And now the final track "Human Augmentation", which really is producer and keyboardist Rhys Fulber's shining moment. At just over 9 minutes is a soundscape, almost dark ambient piece of well layered keyboards and synthesizers while processed spoken word passages similar to the first track. It helps with the narration and closing of the concept and story line. I found this track to be a really different and great surprise. It really does show off Fulber's fine and precise musical talents with sound design and give him the credit that is often forgotten. It really does remind listeners of how much his contributions add to the sound that defines Fear Factory as a band. 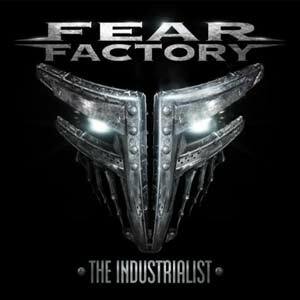 It seems Fear Factory are back for round two with their follow up to 2010's 'Mechanized' with their latest offering titled 'The Industrialist' which is yet another welcome return to the Fear Factory many industrial metal fans know and love with the return of guitarist Dino Cazares for a second album, and also long time producer and contributor and former keyboardist for Front Line Assembly; Rhys Fulber. Well it's time to reach a conclusion. Overall a great return from Fear Factory, showing a good strong progression and consistency, even after line up changes which often brings imbalance to a record. But Bell and Cazares have proved even through that, a successful release can be made. However I find some of the production and mixing to be desired, for as at some points where either drums or guitars are too high and tend to drown Bell's vocals or even keyboard lines wether intentional or not. I also do find the use of a drum machine troubling to the album in some places. Especially in drum rolls and fills the programmed drums sound a little too fake which can be a problem due to Fear Factory's percussive nature and shadow postive feedback drum wise for previous releases. I'm going to give 'The Industrialist' an 8/10 as it is a strong album and great that they've reached into the past for this sound, but I feel that the production and mixing can be imbalanced at times and that some may listeners may either find it forgettable or give them the 90's nostalgia they've been looking for. Or some may just give it a narrow judgement and consider it an electronic 'Divine Heresy' and seeing it as a weak link in a musical sense.